If you’re looking for all out horsepower for your supercharged Cobra, the Whipple W210HPR is what you need! 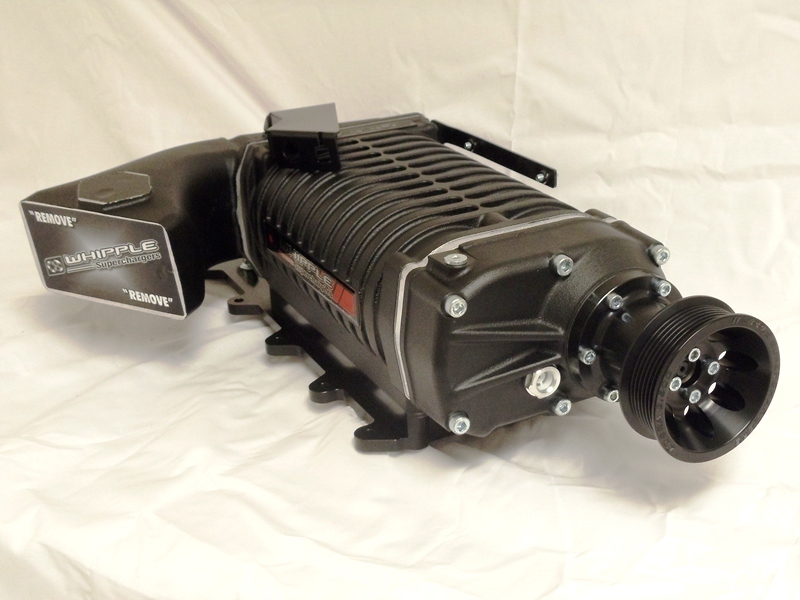 At nearly 3.4 liters of air per revolution, the Whipple Supercharger gives you the ability to produce more power than any other positive displacement supercharger available today. With its enormous flow potential, the Whipple can produce more power per lb of boost by taking less HP to operate and dramatically cooler temps. From 15psi to 30psi, the Whipple W210HPR Cobra system will give you all the ability you could ever crave. The massive size of the W210HPR isn’t the only benefit, as Whipple, the pioneers of twin screw compressors have also increased the built-in-volume ratio of the supercharger to increase it’s performance at the Cobra’s higher boost levels (17psi+). The higher pressure ratio allows for less air leakage back through the rotor housing, giving you both cooler air charge temps and lower parasitic losses. The Whipple W210HPR Cobra kit not only offers a better supercharger, but the potential to have one of the fastest, most powerful street machines on the road today. 210 cubic inch vs. 90 cubic inch.